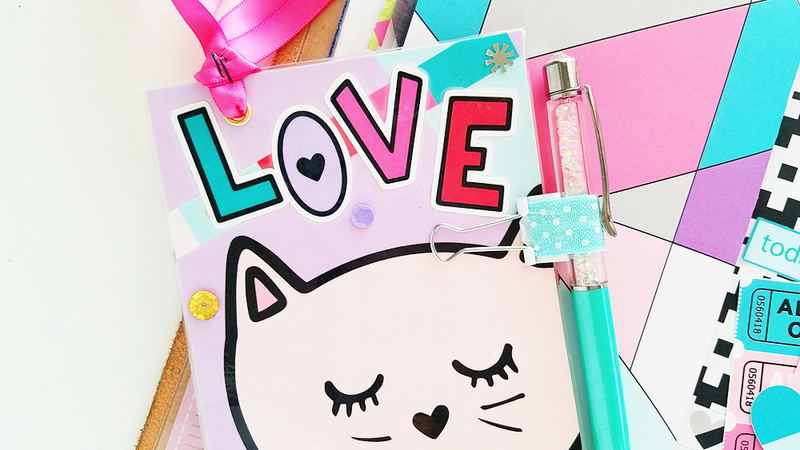 I have 2, love at first make Travelers Notebook projects for you today! The newest collection from The Fairytale Club is entitled "Happy Day" which it always is when I work with this kit! First, I made this laminated bookmark. I just trimmed off the A5 dividers to make it fit within my standard traveler's notebook. Andrea always designs things so versatile you would never think that I'd miss out on the width of that size of a design. The ribbon accent where I feed it through the grommet will definitely make sure I never miss my place! As crafters, you know adhesives are paramount in construction. Well, my favorite non-toxic permanent liquid super glue adhesive, called Wellbond, is perfect to make sure those special sequins are never going anywhere. Just a little dab and it's perfect! On the back side, I added a pocket to hold some of the lovely goodies! I used the top half of a personal divider, since it is exactly the same width, to create this pocket before laminating. I did adhere the bottom and sides but through the process of laminating, It seems to make sure the pocket is absolutely secured and not going to rip in any way. I then used my craft knife to create the slit after to make sure the pocket was fully functional. The other project I made was a secure folder insert for my Travelers Notebook. Now I know I didn't invent the wheel on this one but when I've made them in the past, stuff has always slipped out the side of them. To mitigate that I added a snap enclosure on the prevent that slippage from happening. 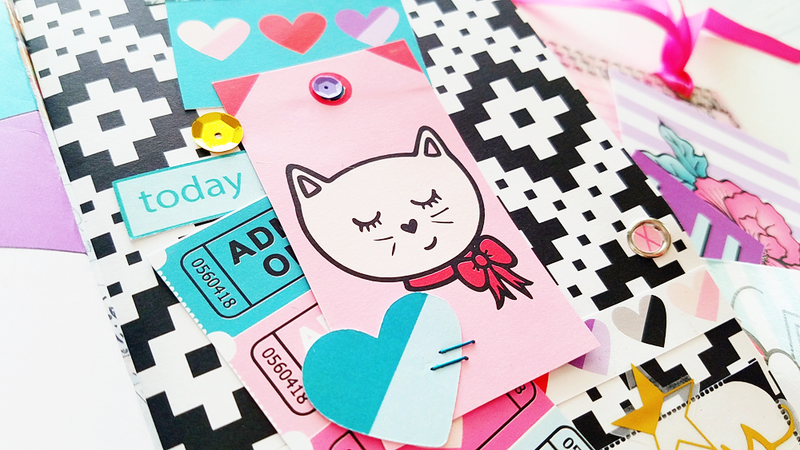 As it turns out snaps are just as easy (or easier) to add to paper crafts as they are to clothing. Who knew?! The decorative front side was fun to make as well! The cut a-part paper was one of my favorites this time. 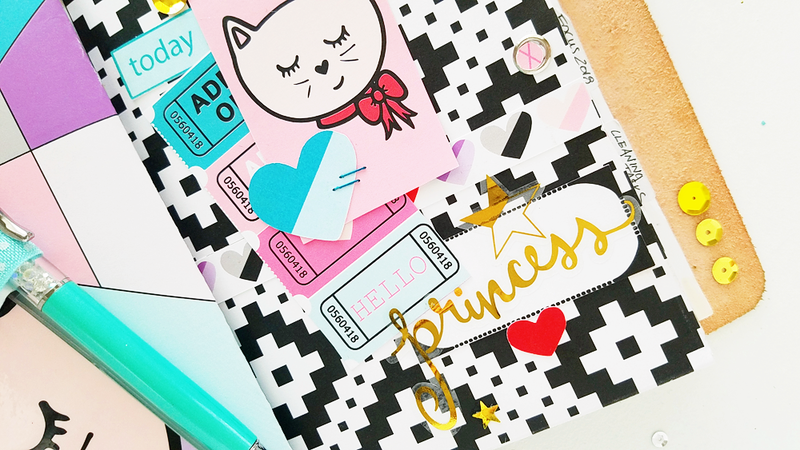 With the busy background, I knew the gold 'princess' sticker would get lost, so the black and white tag really came in handy! And don't forget not everything deserves to make it into the waste bin. I used a discarded paper punch piece to place in the front of the snap for decoration too! Thanks again for joining me here today!